—Joe Heard, gepensioneerd; heeft 40 jaar gewerkt als fotograaf en 30 jaar in de televisie- en filmwereld. Mon.–Fri. : 10AM–5PM and through the first 30 minutes of all events. Saturday (10AM) & Sunday (noon) open on event days only, through the first 30 mintues of the event. Stifel Theatre (formerly Peabody Opera House) is a historic, 3100-seat theater in the heart of downtown St. Louis. Originally opened in 1934, the Peabody Opera House stage has welcomed some of entertainment’s greatest performers, including Frank Sinatra, Ray Charles, Bob Dylan and the Rolling Stones. Following a $78.7 million restoration, this historical gem has been restored to its original splendor and undergone state-of-the-art upgrades. Stifel Theatre (formerly Peabody Opera House) is located at 1400 Market Street in the heart of downtown St. Louis. 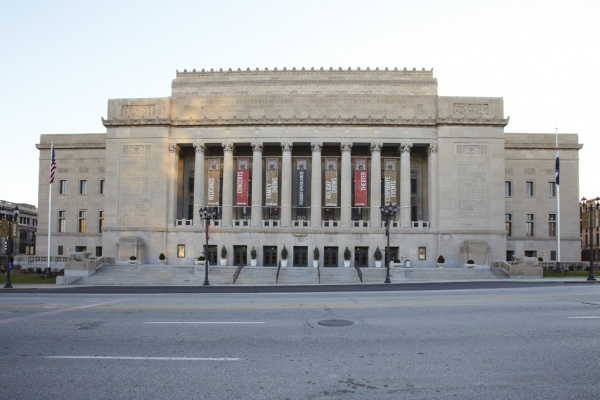 Situated just off I-64 (U.S. 40), Stifel Theatre is bordered by Enterprise Center (formerly Scottrade Center) on Clark Avenue on the south, 14th Street on the east, Market Street on the north and 16th Street on the west. The main entrance to Stifel Theatre is located on Market Street near the corner of 14th Street. Approximately 6,500 parking spaces are available within close proximity of Stifel Theatre. Available parking includes a 1,270-car garage situated at Clark Avenue and 16th Street, adjacent to Enterprise Center. In addition, many nearby parking garages and surface lots offer affordable, convenient access to Stifel Theatre. Two-hour metered parking is also available on many streets surrounding the venue. Accessible Seating Tickets: To purchase, please visit www.stifeltheatre.com or call 314-622-5420. Accessible seating areas are solely for people with disabilities and their companions.